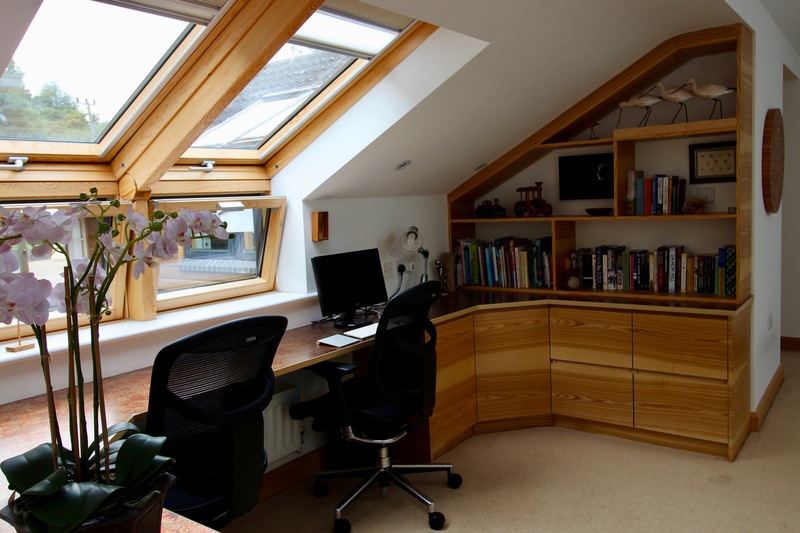 A fitted home study or office opens up endless possibilities whether you are working or studying at home. It provides a dedicated space that you balance work, study and family life. Fine Finish Furniture can individually design make and fit contemporary or traditional styles to match your requirements. 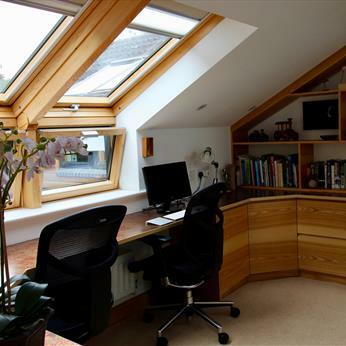 Our fitted home offices and studies are the perfect solution to make sure working from home is as productive and comfortable as possible. We can build in cupbaords, filing units, shelves and desks for the complete bespoke office or study fit out. 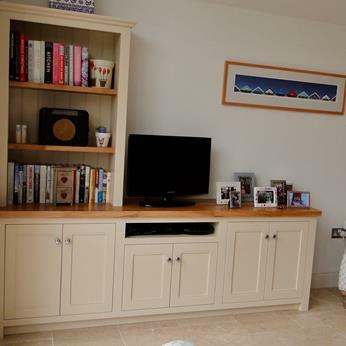 We can work with traditional wood or more contemporary manmade glossed units. With practicality and style our studies will maximise staff and look great. We can build any shape or style we don’t just have standard size units. We can build one desk or as many or necessary to meet your home working needs. 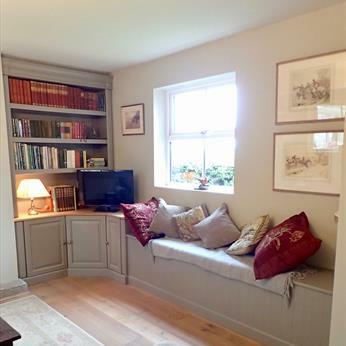 We can provide a design for any room, be it fitted bookcases and window seats in a snug, media units for a cinema room or a one off bespoke piece and fitted units in any room of your home. 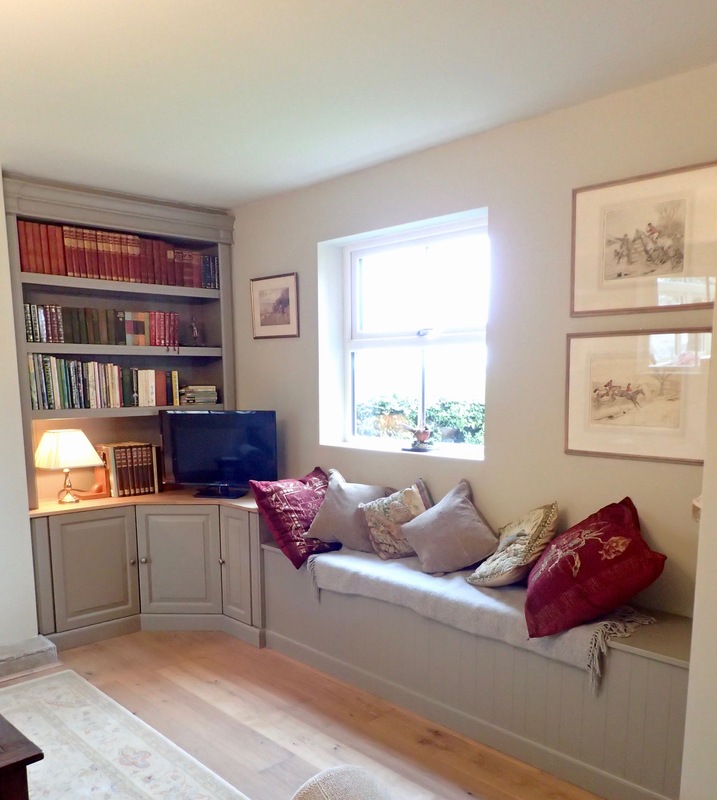 We are experienced cabinetmakers and joinery manufacturers, with our own team of designers. All you cabinets will be handmade in our Nottingham factory. We pride ourselves on meticulous design, careful planning and a keen eye for detail. We will offer advice, ideas and suggestions to get the most out of your space. 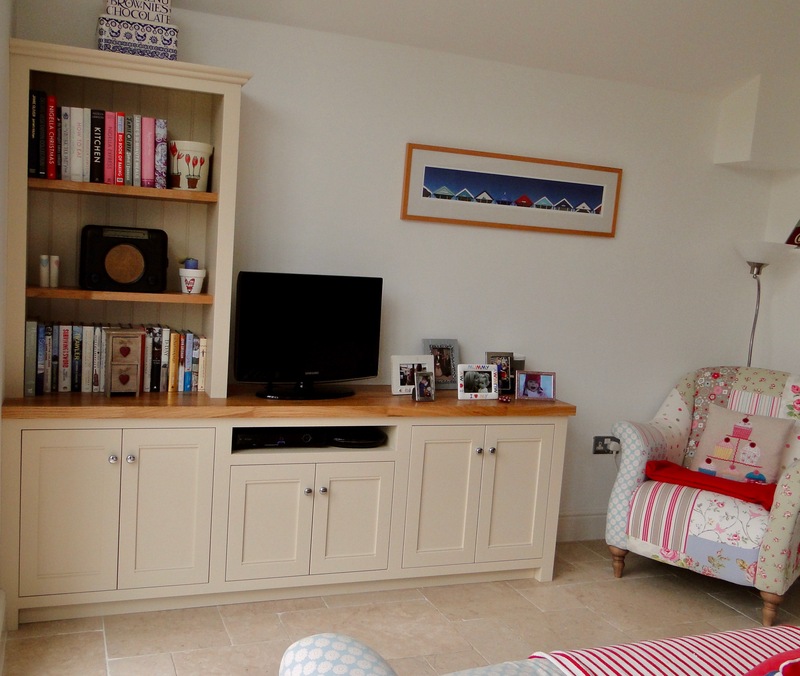 We have our own fitting teams who will ensure that your finished room is first class.